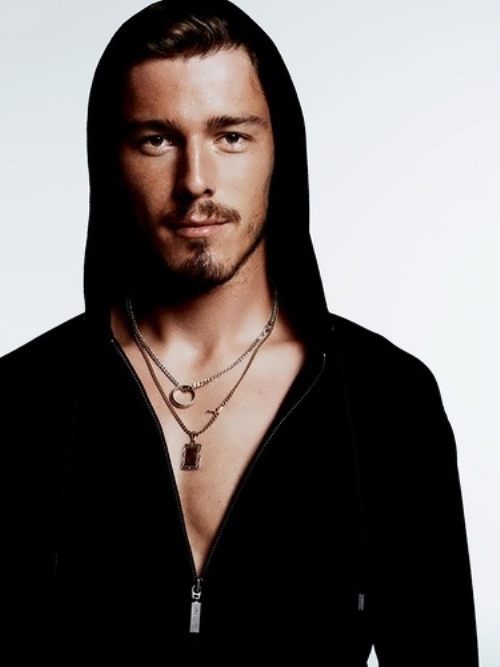 Marat Safin is a Russian tennis player, Honored Master of Sports of Russia, former first racket of the world in singles. Actually, he was a Deputy of the State Duma of the Federal Assembly of the Russian Federation (2011-2017). You know, he is a winner of two Grand Slam singles titles (US Open-2000, Australian Open-2005), two-time winner of the Davis Cup (2002, 2006), winner of 17 ATP tournaments (15 of them – in singles). His younger sister, Dinara Safina, is a professional tennis player and a silver medalist at the 2008 Olympic Games in Beijing. To tell the truth, they are the first brother-sister tandem in tennis history to both achieve No. 1 rankings. In addition, Marat is a member of the International Tennis Hall of Fame since 2016. Handsome boy was born on January 27, 1980 in Moscow, USSR. His mother, ten years before the birth of her son, was one of the most successful tennis players of the Soviet Union. Later she became a coach. Little Marat wanted to play football and wasn’t fond of tennis. Although, he played fine even in the early stages of his career. Kate Gerasimova is a green-eyed part-time model with brown hair. This fun-loving girl calls herself Mumu. She spends her nights seducing critics of the Russian government. Katya Mumu is Anna Chapman’s scandalous forerunner. Kate is famous for her compromising videos featuring popular Russian writers, bloggers and politicians. Beautiful girl invites men to come to her apartment and unfortunately for her victims there are a lot hidden cameras there. She offered cocaine, marijuana and her body. There are several men who can refuse. A lot of leading opposition figures, journalists and commentators have found themselves in a series of films posted on Russian websites. 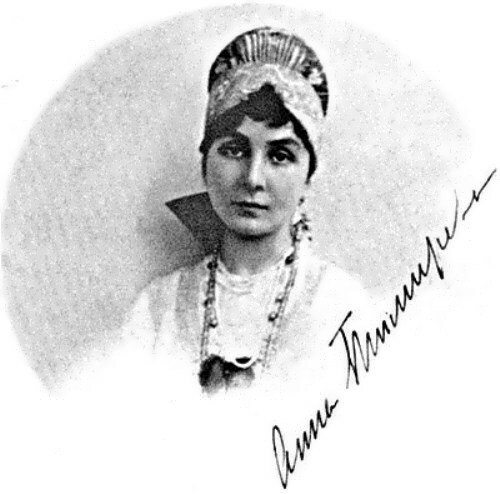 Anna Timiryova (nee Safonova, in the second marriage Kniper) was a Russian poetess and painter, the daughter of a prominent musician Safonov. Beautiful Anna Safonova was born in 1893 in Kislovodsk, into the family of the Terek Cossacks. She was the sixth child in a large family of Vasily Safonov, a music teacher, pianist and conductor, who for some time was the director of the Moscow Conservatory. In 1906 her family moved to St. Petersburg. The girl studied drawing and painting, was fluent in French and German. In 1911 Anna married naval officer S.N. Timiryov. Three years later, in 1914, she gave birth to their son Vladimir, who became a painter. They divorced in 1918. In 1915, Anna met Rear-Admiral Alexander Kolchak. Although Kolchak was her husband’s closest friend and commanding officer, and had a family of his own, they began a love affair. In 1917, Anna openly left her husband for the Admiral. She was 25 years old, and he was 43. Until January 1920 Anna was the wife of Admiral Kolchak. When he was arrested in January 1920 she followed him. After Kolchak’s execution, she was arrested several times. Anna paid a great price for 17 months of love – 37 years in prison and exile. 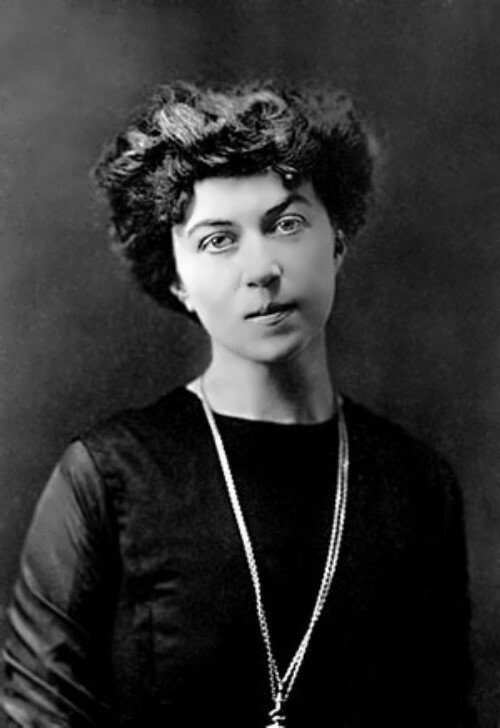 Noblewoman Kollontai had a love affair with the sailor Dybenko, but adored the revolution! In the St. Petersburg district of Vesely Village there are two parallel streets: Kollontai Street and Dybenko Street. They are so close, because Alexandra Mikhailovna Kollontai and Pavel Efimovich Dybenko had a great feeling in life. She was the friend of the famous translator Shchepkina-Kupernik and the second cousin of the salon poet Igor Severyanin, and he was a simple sailor. Kollontai (Shura Domontovich) was born in 1872 into the happy family of General Mikhail Domontovich. But at the heart of the happiness of this family there was the rebellion of her mother Alexandra Alexandrovna, who took three children and left her first husband. Little Alexandra was born in love. From a tender child she turned into a pretty girl with cold blue eyes. So, people began to whisper behind her back. And the whisper of those who were shocked by her behavior, became a companion of Alexandra for the rest of her long life. Anna Chapman is a beautiful Russian spy. She was living in New York, United States when she was arrested on suspicion of working for the Illegals Program spy ring under the Russian Federation’s external intelligence agency. On 8 July 2010 she was deported back to Russia, as part of a prisoner swap. Anna Kushchyenko (her real name) was born on February 23, 1982 in Volgograd. Her father, Vasily Kushchenko was a diplomat, who served in Papua – New Guinea, Kenya and Zimbabwe. However, according to Anna he was a senior KGB officer. Her mother worked as a Math teacher. Anna has a younger sister Ekaterina. After school Anna Kushchenko entered the Russian Peoples’ Friendship University. In the summer of 2001 during a tourist trip to the UK Anna met Alex Chapman, her future husband. Later, in March 2002, Alex came to Moscow, where they got married. According to the British newspaper Daily Mail, Anna married A. Chapman to obtain a British passport. Irina Volk is a very beautiful police woman, police Lieutenant Colonel, the Head of Press Service of Economic and Anti-Corruption Security, Department of Moscow, Russia. Pretty Irina was born on December 21, 1977 in Moscow, USSR. Her mother is a lawyer and an artist, but she decided that drawing is more a hobby for her. Her father is an artist, a member of the Union of Artists of Russia, member of the International Organization of Artists, an iconographer. She is not only beautiful, but clever woman. Volk is a Doctor of Law, author of publications and books on legal subjects, the writer. By the way, she is an author of articles and columns in newspapers and magazines. Moreover, Irina is the winner of the national competition of the Russian Interior Ministry Shield and Feather in the category of MIA (Ministry of Internal Affairs) – Time For Change. As well, she takes part in operational activities.